Discover everything you need to know about world-class returns management and how it’s a vital part of the e-commerce experience for the modern consumer. You’ll find in-depth guides, articles, tips and advice to help your company strengthen its returns strategy, providing you and your customers greater control. Get your returns management right and enhance your international reputation. E-commerce companies are experiencing higher returns rates than ever before as customers, with ever-increasing expectations, are purchasing more. Having an efficient returns process is extremely powerful: it can strengthen customer loyalty and drive profits. Don’t be daunted by an upswing in orders and the resultant rise in returns: Asendia offers a full range of returns solutions, all designed to answer the individual needs of international businesses. See how building an effective returns policy is vital to selling internationally. Find out why effective returns management is as important as the products themselves. Take an in-depth look at how Asendia can support your business with expert returns management. E-shopping is now one of the most popular online activities around the world, presenting huge opportunities for e-tailers no matter where they’re based. Asendia can help you build a returns policy, guiding you through key aspects such as language style, returns windows and setting customer expectations. A well-designed and robust international returns policy will ensure that your customers come back again and again. The statistics speak for themselves: 89% of shoppers say a returns policy determines where they shop, 57% of online shoppers want an easy and reliable returns process and 67% of consumers check the returns policy before purchase. In this guide, you'll get information to optimise your e-commerce business for international returns. Why should you have a good returns strategy in place? 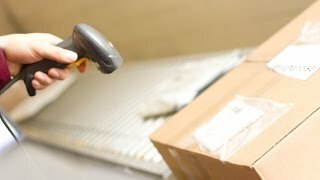 This video explains the importance of effective returns management in an industry where the constant flow of returns is unavoidable. View our unmissable advice on how to minimise returns.